The Curious Wavefunction: What is your favorite deep, elegant or beautiful explanation (in chemistry)? What is your favorite deep, elegant or beautiful explanation (in chemistry)? Over at Edge, they have a survey asking leading scientists, thinkers and writers about what they think is their favorite "elegant, deep or beautiful explanation". This is meant to be a very general question, not even limited to science and includes responses from people as diverse as the economist Richard Thaler, complexity theorist Stuart Kauffman and Stewart Brand (founder of the Whole Earth Catalog). The answers include ideas, explanations, experiments and entities as general and diverse as the scientific method, genes, Pascal's wager, bounded rationality, relativity and the limits of intuition. The explanations run across the gamut of the sciences and the humanities including physics, biology, economics, neuroscience, politics and business. But conspicuously absent is chemistry, except for a few peripheral references like Charles Simonyi's listing of Besicovitch's theory of atomic forces. And this is in spite of our friend Derek Lowe of "In the Pipeline" being included in this august list. I was gratified to see a chemist being asked for his opinion, and was somewhat disappointed that Derek's favorite explanation was not chemical (his favorite is the rather deceptively simple notion of "freefall"). I of course don't blame Derek for his choice since there is no law dictating that a chemist's favorite explanation should be from chemistry just because he or she is a chemist. My own favorite beautiful explanation is probably Cantor's notion of multiple infinities. But I did regret the striking omission of chemistry from the list. Sometime back I had a whole post on elegance in chemistry. And I certainly don't want people to think that deep and elegant explanations are limited to physics and biology, because they are not. Chemistry may not boast of profound philosophical explanatory frameworks like the Big Bang or evolution by natural selection. But it makes up for this fact by creating paradigms that directly touch the lives of millions of human beings in ways much more palpable than the Big Bang and evolution. So I thought I would add my own modest thoughts on my favorite deep idea in chemistry. There's actually a few things at the top of my list; you certainly don't have to think hard to come up with several foundational chemical ideas. But if you really asked for my absolute favorite deep and elegant explanation, it is the shared-electron chemical bond. That's it. Right there is the simple concept that is at the heart of the material world, a concept that if you think about it has had a staggering impact on our quality of life, our relationships with other nations, our notion of prosperity itself. Chemical bonds as manifested in the foundations of modern civilization have certainly contributed as much to life, liberty and the pursuit of happiness as any scientific idea. The idea itself as formulated by the great Gilbert Newton Lewis and comprehensible to any high-school student is simplicity incarnated; atoms combine into molecules and form a bond when electrons are shared. Everything that comes after the stating of this fact, important as it is, is details. All the quantum chemical wizardry, the thinking-in-orbitals, the great Gaussian simplification, it's after this basic groundwork has been laid. Heitler and London, Pauling, Slater, Mulliken, Pople, all of them made critical contributions to chemical bonding, but they all stood on Lewis's shoulders and built up from his landscape of the shared electron chemical bond. Given the absolutely foundational role that the chemical bond plays in the thinking of chemists, it may be both ironic and a tad disturbing that chemists still cannot completely agree on the precise definition of every molecular bond out there. But that's not because the basic framework underlying bonding is uncertain. Part of the reason is simply because there is no such thing as "the" chemical bond. The bonding zoo sports a bewildering variety of animals, from the upstanding "normal" chemical bonds in, say the hydrogen or methane molecules, to the (literally) ready-to-snap pressure cooker entities in strained organic compounds, from the wily, shape-shifting bonds between metals and organic compounds to the ephemeral but biologically vital hydrogen bonds. Although the basic theory of the chemical bond is securely in place, it's going to take some time to craft a net wide and yet rigorous enough to snare the unruly and colorful creatures dotting the chemical landscape. 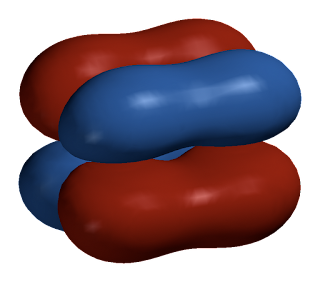 Now physicists may try to appropriate the chemical bond as their own, but they are out of luck. No explanation based purely on physics can truly impart a feel for the sheer diversity of bonds quoted above and their context-specific personalities. Just one bond serves to create a nightmare for purely reductionist approaches to defining chemical bonding- the hydrogen bond. Last year chemists convened at a meeting with the express purpose of tweaking their description of this all-important biological mediator, the glue that holds life together. Several questions were bandied about, but none more important than the very definition of a hydrogen bond. The problem was simple; hydrogen bonds can be weak or strong, sometimes so weak as to strain the definition of a bond, sometimes strong enough to suspiciously qualify as a covalent bond. How much of hydrogen bonding is electrostatic and how much is covalent? Is "bond" even the right term, or would "bridge" be more accurate? How do you define hydrogen bonds to metals? A consensus was finally reached on a new definition, but not even Linus Pauling could say that the definition would hold for all of eternity. Defining a hydrogen bond would give every physicist out there a run for his money. I find the concept of the chemical bond so enticing and elegant partly because even a single kind of bond like the hydrogen bond can hide a richly textured world of possibilities lurking behind its surface. "There is grandeur in this view of the material world, with its several powers, having been originally breathed into a single bond; and that, whilst this planet has gone cycling on according to the fixed law of gravity, from so simple a bond endless forms most beautiful and most wonderful have been, and are being, evolved." If, in some cataclysm, all scientific knowledge were to be destroyed, and only one sentence passed on to the next generation of creatures, what statement would contain the most information in the fewest words? I believe it is the atomic hypothesis (or atomic fact, or whatever you wish to call it) that all things are made of atoms — little particles that move around in perpetual motion, attracting each other when they are a little distance apart, but repelling upon being squeezed into one another. In that one sentence you will see an enormous amount of information about the world, if just a little imagination and thinking are applied. I'm partial to stereochemistry, but the notion of stereotopic relationships always struck me as an incredibly powerful notion that's simple at its core: the idea that pieces of an object related by rotational symmetry are spatially identical, and those related by reflection symmetry are related as mirror images. Stereotopic relationships apply equally well to teeny tiny molecules and macroscopic objects. Free energy relationships are powerful and penetrate every level of analysis from drug development to the most fundamental physical chemistry. Yup, they have to be my favorite because of the awesome analysis they make possible through such simple experiments. .....@mevans: stereochemical relationships is way up there for me too. I'd have to include stereomorphic relationships too though. Even though they are not completely enveloped in the lexicon of daily "lab chatter". Having a set of words and thoughts to describe the relationship between groups in one molecule and another for groups between molecules is awesome. Anon: Thanks. All great choices. I too am partial toward stereochemistry and symmetry, especially because symmetry has got to be one of the very few truly fundamental and profound principles underlying all of science. In a sense all of physics and chemistry could be said to arise from symmetry breaking. Although I don't really understand it, I am especially intrigued by recent attempts to explain chirality by way of parity violation. oh. oh. yeah, and quantifying chirality too on that note. Well chemistry is great, but restricted to low temperatures, like we have on Earth. Physics covers all temperatures, so there is no chemistry on the sun, for example. What is elegant? Science is logic, and is our way of visualizing processes. That is maths. You cannot visualize the microscopic without help. Heisenberg said that we visualize only through the equations. Even organic chem, with all the intuition people develop, depends on one's ability to visualize the microscopic through the logical equations. So what is elegant to me: Nature itself and the fact that we mortals can actually use our brains to figure things out, well eventually.